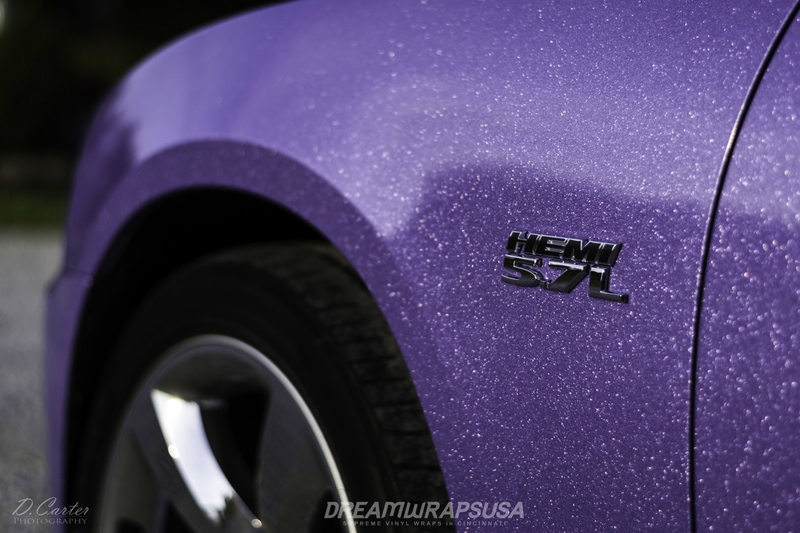 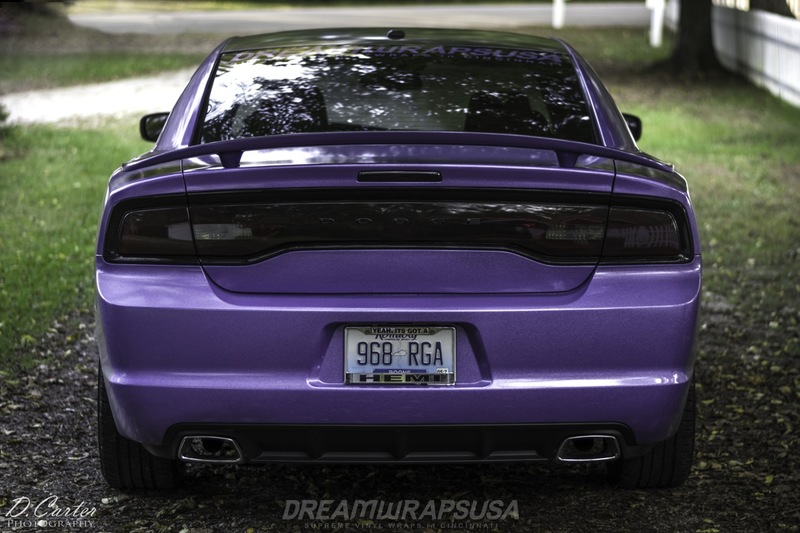 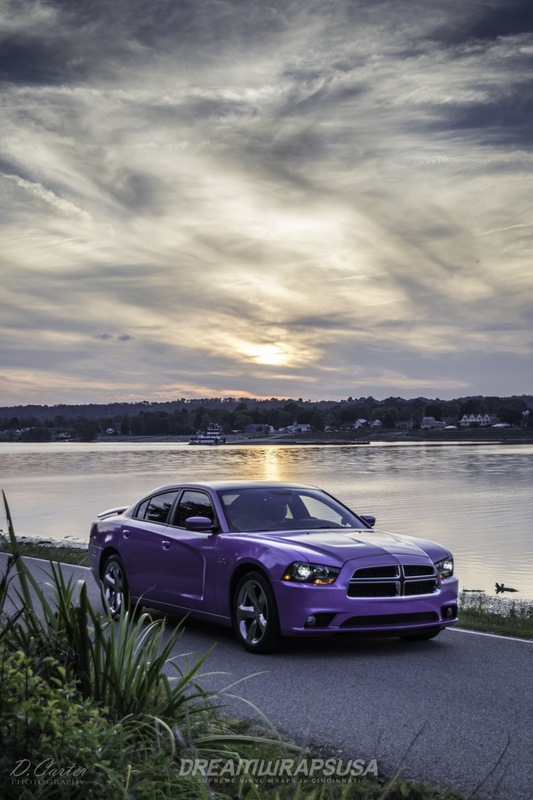 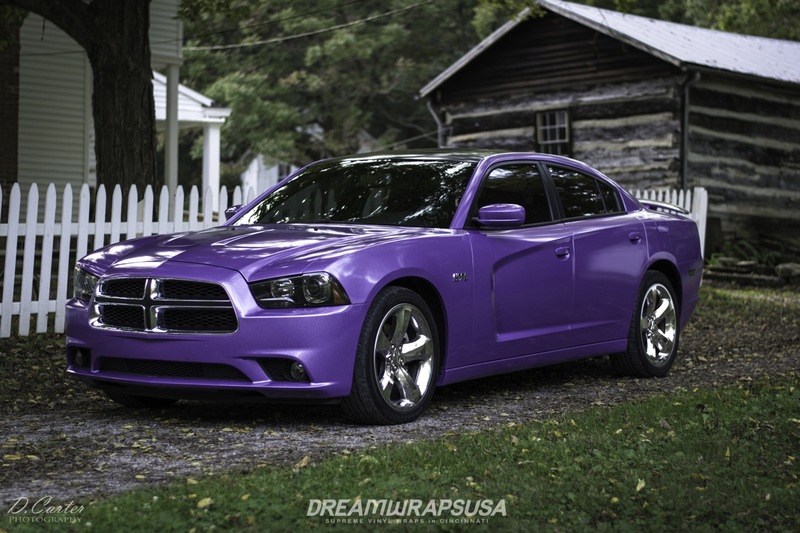 DreamWrapsUSA took this Dodge Charger RT back to its original roots, classic Mopar Purple, but with added flair to keep up with our modern evolving industry. 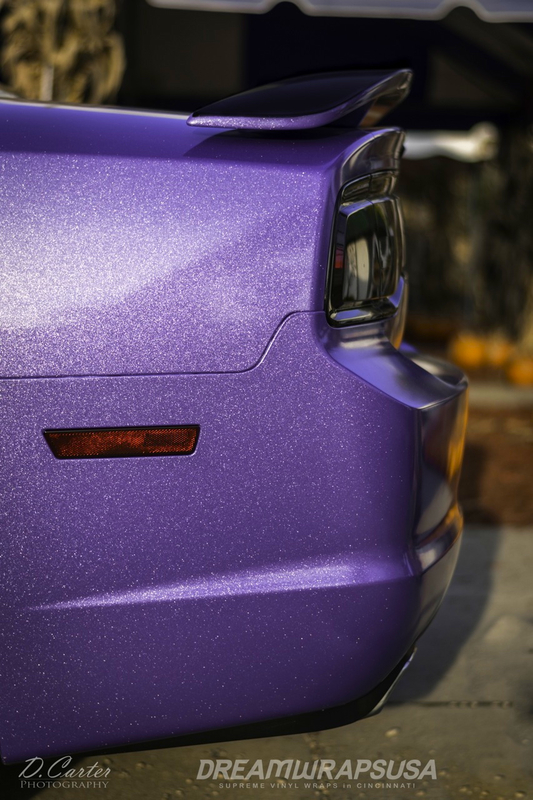 This Diamond Purple full wrap really turns heads in direct sunlight as the flake dances in the light creating a truly unique vehicle finish. 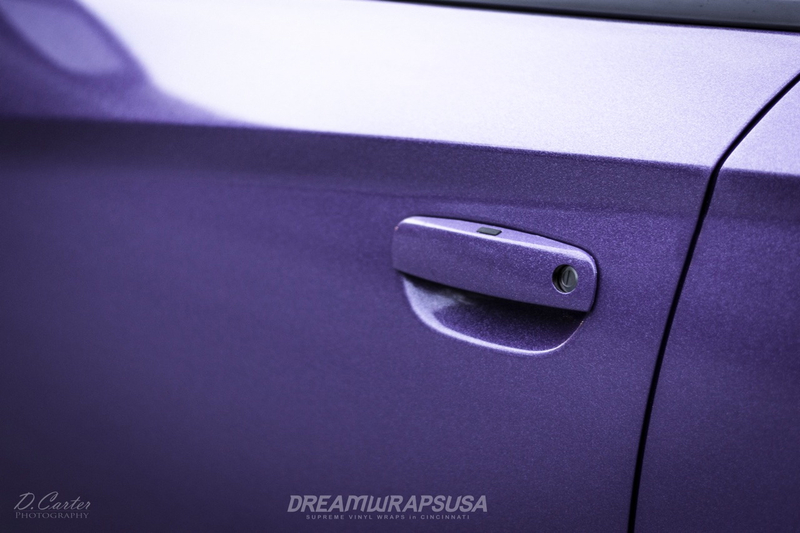  Paint is gloss red underneath and will continue to stay in great shape. 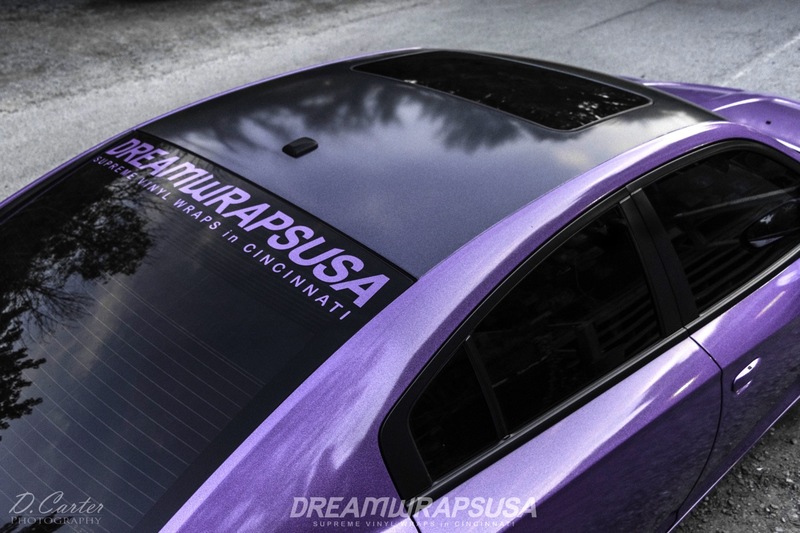 All lights have been tinted in high gloss smoke to complete the look and for added protection.